Before my marriage my mum used to do this and after marriage I do it by just adding all the vegetables and the taste is very different (of course mum's one is better). 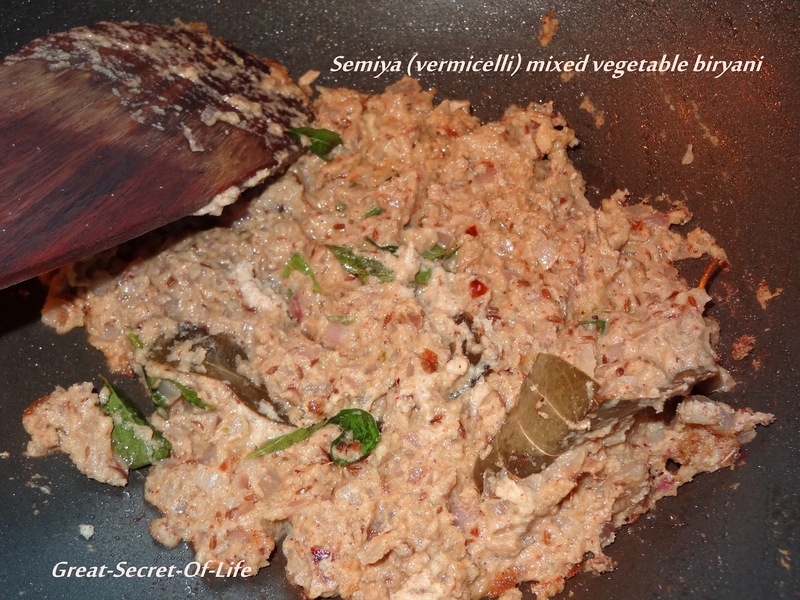 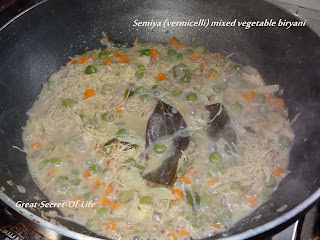 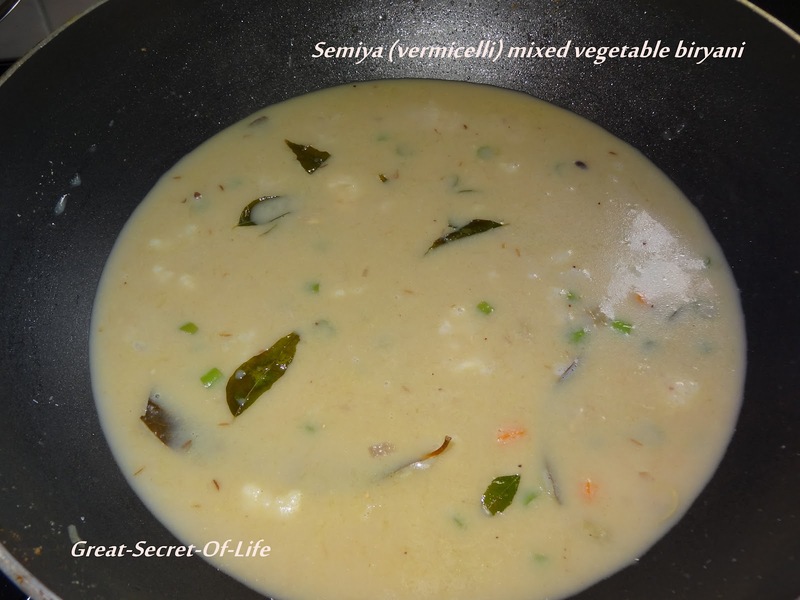 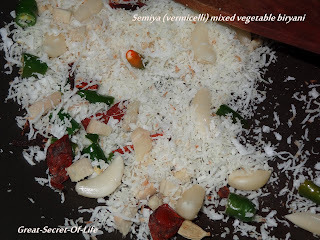 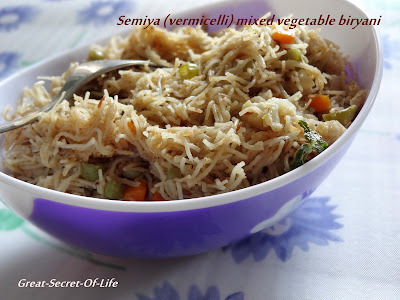 After kids has grown up they prefer to have Vermicelli with just carrot (Vermicelli Uppuma).. 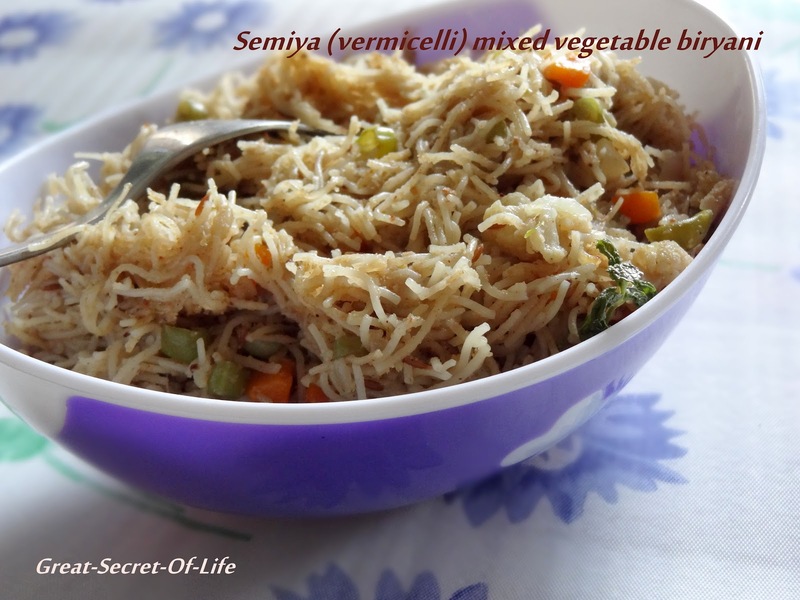 I was talking to my mum yesterday and she was mentioning about Vermicelli biryani. 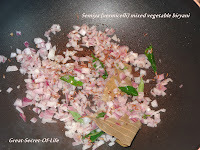 Suddenly I got the urge to do it. 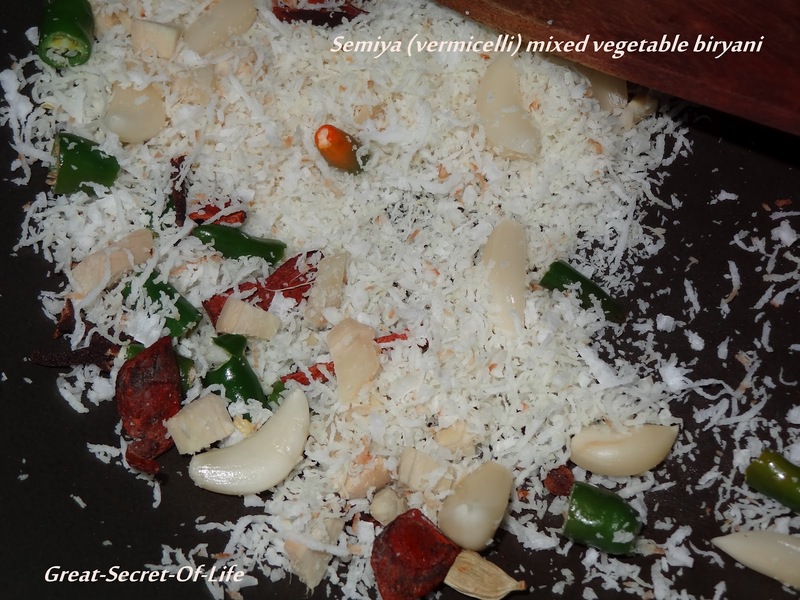 Roast the vermicelli with a tsp of ghee in medium flame,evenly with out changing its colour(if it not raosted vermicelli),you can also skip this part too. 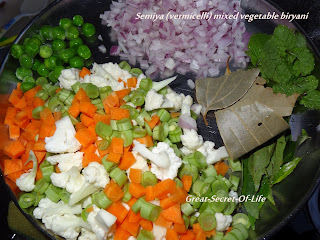 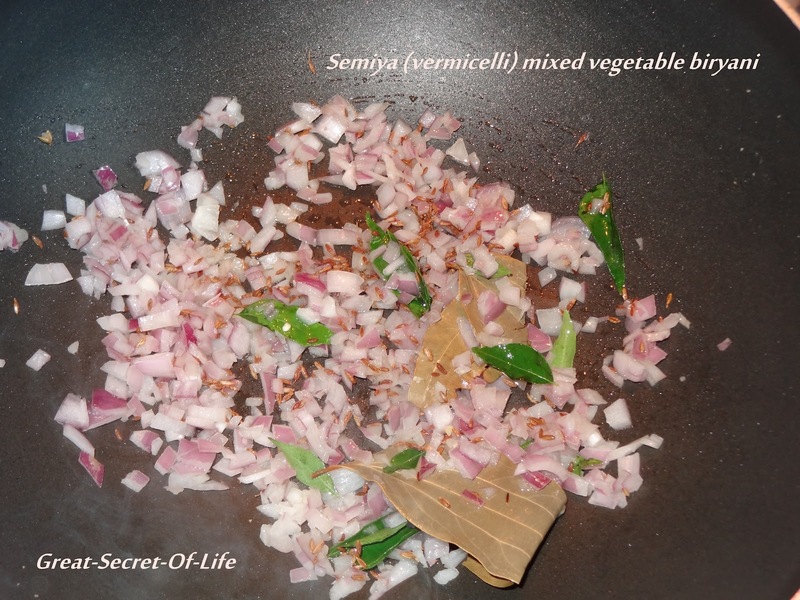 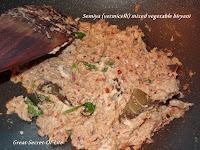 Add the chopped veggies and the mint leaves and fry in medium flame for 2-3 minutes. Add the soya milk and bring to boil,add required salt. Then add the vermicelli.Let it boil till it absorbs all the soya milk and then keep the flame in lowest possible and cook covered for 4-5 minutes.